News from LMCU: Checkups are good for your financial health, too. 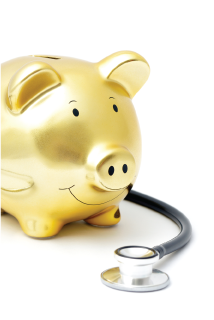 Checkups are good for your financial health, too. You have an annual physical to make sure you stay healthy. What do you do to make sure you remain financially fit? Once a year, it’s a good idea to schedule a thorough financial checkup. Our financial advisors at Lake Michigan Investment Services (LMIS) specialize in thoughtful and unbiased investment guidance designed to keep your finances in tip-top shape. Have any old annuities that have matured? Did you know you can often reconfigure your annuity payment schedule to include an income-for-life rider or a long-term care provision that could essentially double your benefit? Many annuities have other enhanced benefits and features you can take advantage of and still maintain its tax deferral status. So, it might be a good idea to have another set of LMIS eyes working for you. Don’t hesitate to get that second opinion from us on your financial portfolio and life stage events. Call (616) 234-6524 today for more information or to schedule a free consultation with an LPL Financial Advisor near you, or go online to lmcu.org/investments to set up an appointment.